For college students, landing a summer internship in their field can be a real advantage. Lots of former interns leave school with both a diploma and a job offer. CollegeGrad.com, a website focused on the entry-level job market, has issued its annual ranking of top employers who offer internships. This year, it says there are about 7% more internships being offered than last year. Brian Krueger, CEO of CollegeGrad.com, says getting an internship is closely linked to getting a job after graduation. So that means students should act quickly. 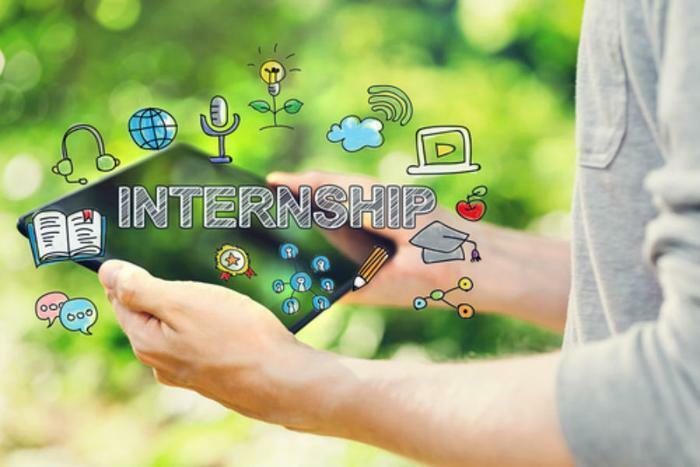 "If college students do not yet have their summer internship secured, finding that internship should be first priority during spring break and during the remainder of the Spring semester," he said. "Now is the best time to start an internship search." Topping this year's list is ORAU, a nonprofit federal contractor that provides scientific and technical solutions to advance national priorities in science, education, security, and health. According to the list, it's offering only 198 entry level jobs but nearly 7,000 internships. Plenty of financial services firms offer internships too. New York Life will offer about 3,500 internships this year, KPMG will have 3,300, and Deloitte will have 3,000. Among tech firms, Intel will hire 1,600 interns and Amazon.com will take on 1,500. Check out the full list here. Krueger says internships serve as a connection between academic studies and practical experience. "Having a great internship sets apart college students looking for an entry level job after graduation," he said. "In addition, employers often use internships to conduct a full summer interview of potential entry level candidates." Getting established early with a firm in your chosen field may be even more important now. A new study by employment site CareerBuilder.com has found that employers are now hiring college graduates to fill slots they formerly filled with high school grads. The study found 38% of employers have boosted educational requirements over the last five years. As a result, 41% of employers are hiring college-educated workers for jobs that had been primarily filled by those with high school diplomas.